Successfully Added Ken Xin Da Max7 10400mAh Power Bank - IP68 Waterproof Rating, Rugged Build, LED Torch, Power Indicator Lights to your Shopping Cart. 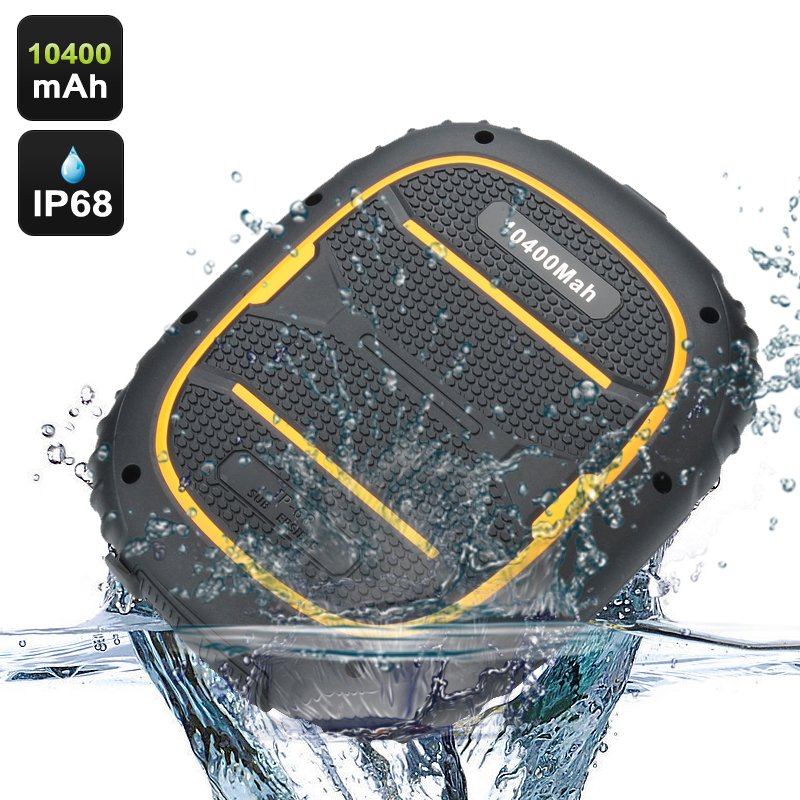 The Ken Xin Da Max7 10400mAh submersible power bank is brilliantly deigned and offers outstanding capacity with a rugged outdoor credentials to keep all your electronics powered up, anywhere, anytime. Power banks come in all shapes and sizes but the MAX7 from Ken Xin Da strikes a wonderful balance between compact portability while maintaining a tough hardened plastic and rubber exterior capable of withstanding knocks and bumps. The main charging and power ports are covered by a rubberized tab than when in place offers IP68 protection and seals the devices against that harmful effects of exposure to dirt and water. The KenXinDa Max7 delivers a 5 Volt 1.5 Amp charging current to your phone or other portable electronic device. With 10400mAh capacity the power bank has enough juice to recharge a typical Smartphone 2 or even 3 times so you can enjoy days of power when away from the mains. There is a built in torch for if your caught out in the dark and an anti tangle USB power lead for connecting to your devices or recharging the power bank. This power bank is a perfect gift for the avid outdoor adventure and globe trotter helping to keep them in touch with the world while away on their travels. This KenXinDa Power IP68 10400mAh power bank comes with a 12 months warranty, brought to you by the leader in electronic devices as well as wholesale power banks..